Several times a week, a drive across the Korean Veterans Bridge, past the site of of the upcoming West Riverfront Park and its centerpiece 6,500-cap amphitheater, and marvel at the progress that’s been made in just the few short months since the project broke ground. We knew that the Live Nation-operated and city sanctioned venue and park were slated to open for business by summertime, but have often wondered just when that might be, and how soon it would be set up to host shows. The answer has apparently arrived: Aug. 8, or, at least, that’s the first performance on the books, when the just-announced Steely Dan “Rockabye Gollie Angel” tour, which features special guests Elvis Costello & The Imposters, rolls through town. Smart money is on the park being up and running well before the fourth of July, and, in all likelihood, many more shows being added to the slate in coming months, but for now, we at least have one to look forward to. 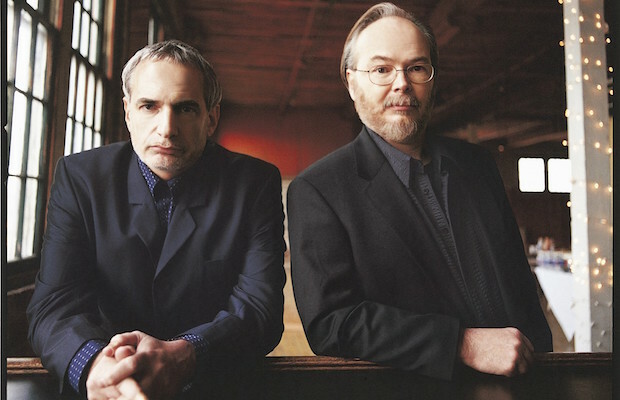 Ticket info for Steely Dan has yet to be announced, but we’ll be sure to update once we know more. Esmé Patterson Debuts Video for “Feel Right” | Catch Her July 18 at The High Watt!